Gary Player’s design team spent months studying the great links courses in Scotland and Ireland to gain inspiration for The Links course at Fancourt in South Africa. They had the ambitious task of recreating some of their finest holes to make a genuine links test on what used to be an old airfield. All three golf courses on the Fancourt resort are ranked in the Top 20 in South Africa (2011 Golf Digest rankings). The Links is rated 1st, Montagu 7th, and Outeniqua18th. Not bad for a resort that only opened to the public in the early 1990s. The Links at Fancourt was added to the Outeniqua and Montagu golf courses in 2000, an inspiring example of great golf course design and construction and probably one of the most impressive pieces of golf course design and construction in South Africa. 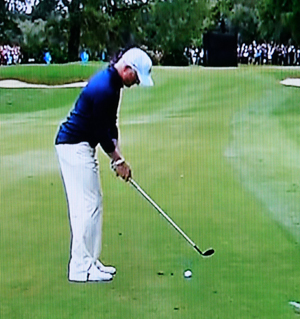 I really can’t see much beyond Louis Oosthuizen 5/1 winning this week; he’s in scintillating form. Not only winning the first tournament of the season at the Africa Open, it’s the way he finished last season in his last six tournaments, he has not been outside the Top 10 with eighth being his lowest finish. I think this could be a big year for Simon Dyson 20/1 he is someone who will be challenging for major titles this year. It’s a season where he needs to push on after winning two tournaments last year and notching up six other Top 10 finishes. Robert Rock 28/1 will feel happy with his first outing of the year finishing in the Top 10 at the Jo’burg Open and watching how many putts he left right on the lip, he will feel confident coming into this week’s tournament. Joost Luiten 25/1 finished last season well taking the Iskandar Johor Open, he also had thirteen other Top 20 finishes six of those coming in the Top 10. Tom Lewis 45/1 got his professional career off to a great start winning the Portugal Masters, his first pro win at the third attempt with a total of -21. 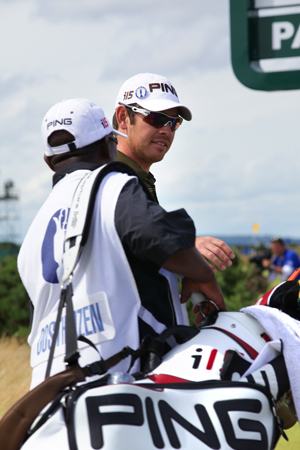 Look for the former Boys Amateur Champion who came to prominence at the 2010 Open Championship at Royal St George’s to have a productive season in his first full year on tour. Pablo Martin 125/1 went three years between winning his first tournament on the European tour in 2008 before notching up his next win last year at the BMW International Open. I can’t see him leaving it that long again.